PyMapper version 5.2 adds the long awaited random dungeon generation functionality. After much development (and much frustration and finally inspiration) a workable randomizer methodology was developed for the program. 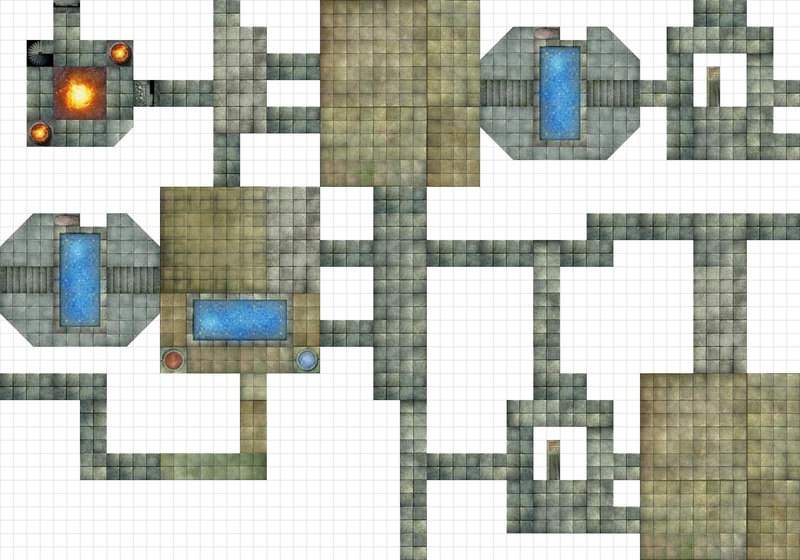 Random dungeons are based around the concept of a geomorph, which is a fancy way of saying "a collection of tiles that fit together." Each geomorph is 12 squares wide and 14 squares high. Each geomorph has a series of 'connection points' defined to tell pymapper how they align next to other geomorphs. The dungeon randomizer takes a group of geomorphs and fits them together according to these connection points. A sample set of geomorphs is included in this release. Users are highly encouraged to submit new geomorphs so that we can get a wide assortment of options. The randomizer can be found in the Maps menu. A tutorial file is also included in the /geomorphs/ folder where you installed pymapper. I have created a library of geomorphs to be used with pymapper. The zip file is also located in the pymapper folder. I strongly encourage the community to send in their own geomorphs to expand our choices. Please send geomorph files to pymapper (at) hotmail.com and I will compile and distribute them.